For every form of exercise, be it running, CrossFit or even yoga, there’s the right footwear. 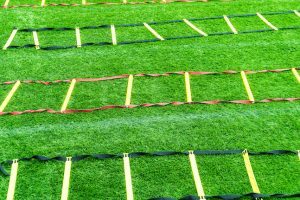 Using a high-quality, purpose-built shoe for your favorite sport can significantly improve your performance and prevent annoying, painful, or even career-ending injuries. Unlike most sport-focused trainers, weightlifting shoes tend to be heavier, more rigid and produce a unique stance through an elevated heel. Most of the world’s biggest shoe brands have their own offerings for lifters. But not all lifting shoes are created equal and you may be wondering which is right for you. Well, you’re in luck. In this article, we’ll look at the top five that you can pick up today. We’ll also look at why a good pair of lifting shoes are necessary for anyone who’s serious about barbell training, as well as a short guide to choosing the right lifting shoes. 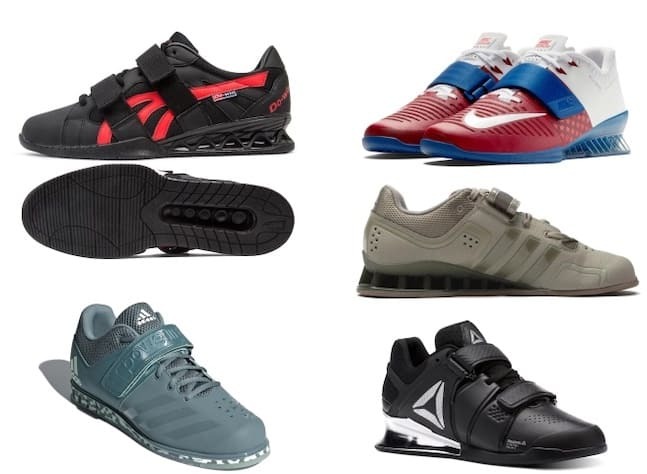 Before we get into the list of best shoes, let’s look at what makes weightlifting shoes unique and why they’re an essential piece of gear that no serious athlete should be lifting without. The defining feature is the raised, rigid heel. It promotes correct form and posture and helps to activate the quadriceps, even while your hips drive the movement. Another key component is the midfoot strap (sometimes two), which keeps the foot secure and stabilizes the arch. The combination of these improvements will genuinely help you lift more weight, more safely. Most lifting shoes have a heel lift of 0.75″ (~19mm), with some going up to just under 1″ (~25mm). The construction is generally as solid as possible. Most heels are made of either hard plastic, wood or stacked leather. The sole doesn’t compress (unlike cushioned running shoes), which provides significantly greater stability during squats and Olympic lifts. Good weightlifting shoes also ensure your feet are protected from above and below, and planted securely on the ground. This is especially important if you’re training in your home or garage gym, where the floor may not be the optimal lifting surface. Dropping a plate on your foot, or slipping during a lift will almost certainly end badly if you’re not wearing the appropriate footwear. Finally, weightlifting shoes feature a more solid, durable construction. It’s not uncommon to see them being made of leather – a material long-gone from most athletes’ feet. A combination of air mesh or perforations can also be found in the upper to ensure breathability. These elements can all be found in the shoes listed below, along with a couple of other features unique to each model, ensuring that there’s something for every type of lifter. Many will argue that different types of shoes are appropriate for the different types of lifts (i.e., Oly lifts vs powerlifts). We don’t subscribe to this point of view. 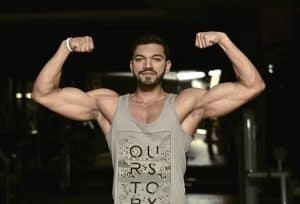 The way we see it, good lifting shoes are appropriate for all different kinds of lifts as long as they help you achieve good form, and this will depend on the morphology of your legs. Depending on the dimensions of your legs, some shoes will help you, as an individual, keep your knees forward, and activate your quadriceps and hamstrings. Others will not. Read more in our guide at the end. Olympic lifters will find the Do-Win’s 0.75″ (19.5mm) heel particularly suitable for their sport. Those who specialize in powerlifts or deadlifts will find the rest of the Do-Win’s offerings just as enticing. The clean leather and nylon-mesh upper provides a great balance between stability and breathability. 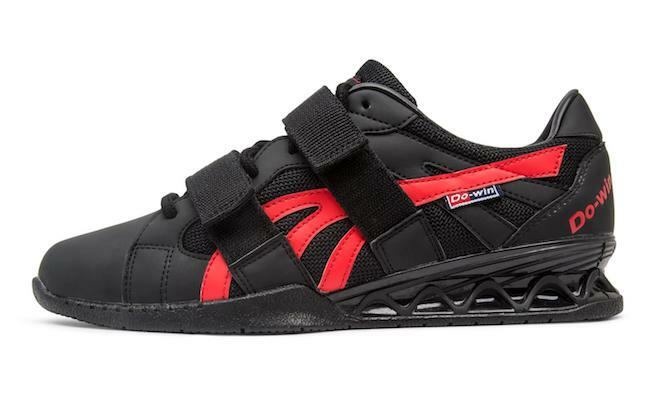 Two straps over the midfoot area ensure safe and stable lifts while the wide profile provides improved comfort and stability, particularly for wide-footed lifters. Rogue has gone the extra mile to ensure every athlete can pick up the Do-Win’s by making them available in virtually every size as well. The recommendation is that you should go half a size smaller than your usual shoe size. We can confirm that this is appropriate, at least as far as your usual runners are concerned. We wear a US size 11 in Adidas runners, and therefore ordered 10.5 Do-Wins. They fit perfectly. 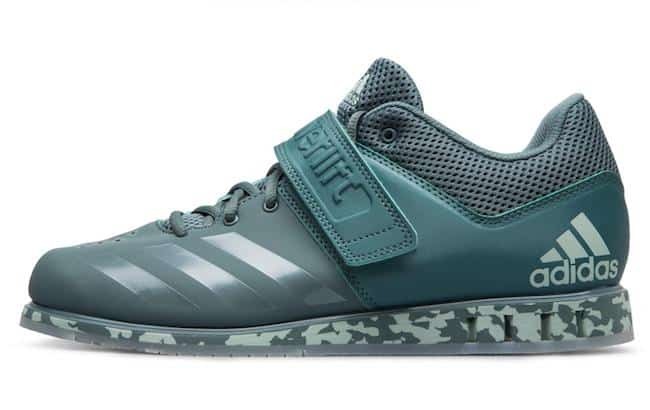 While these weightlifting shoes don’t technically come in a women’s variety, ladies’ US shoe sizes are 1.5 sizes above their male counterparts. So if you’re usually a women’s US size 8, then you’ll need to order a US size 6.0 (taking into account the extra half size reduction). Confirm using this conversion chart. The timeless designs, consistent quality and mass appeal of Adidas’ lifestyle kicks makes them the first choice for consumers worldwide. Their weightlifting shoes happen to be pretty solid as well. The Adipowers have been around for some time and they’re still one of the most reliable options for weightlifters today. They’re known to last for years despite their soft textile lining, mostly thanks to the form-fitting leather found on the other side. The patented TORSION SYSTEM found in the 20.1mm heel provides a stable and comfortable lifting experience. 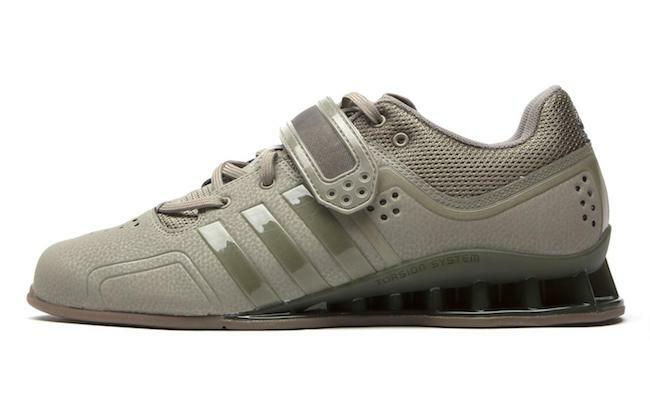 While they may not be the cheapest option, the Adipowers will likely be the last weightlifting shoes you’ll ever buy. While these are unisex shoes, unfortunately they don’t come in women’s sizing. Again, ladies, use this conversion chart to get the right size for you. If you’re a little more strapped for cash or want a cleaner, modern design from the brand with the three stripes, the Powerlift 3.1’s are your best bet. 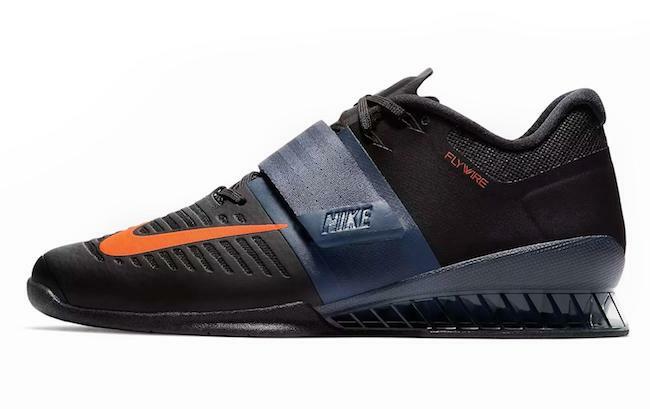 These are hybrid lifting shoes, meaning they’re good for all types of lifting. They feature an air mesh tongue, collar and inner lining for added comfort. The perforated synthetic leather upper provides breathability while remaining rigid. A velcro strap at the midfoot provides additional stability. The platform has a nice width, but they tend to run small, so be sure to consult a sizing guide before picking them up. The striking colorways and futuristic design of the Legacy Lifters are sure to turn some heads at the gym. And they aren’t just good lookers. 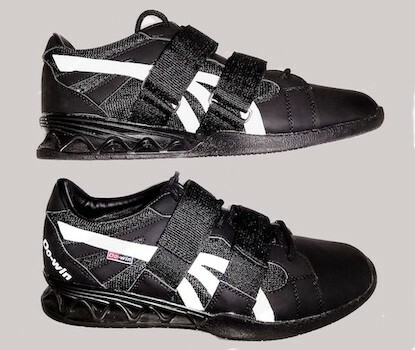 These CJ Cummings-endorsed trainers provide a stable, comfortable and supportive lifting experience. A perforated synthetic leather upper is locked in with two straps at the midfoot for maximum rigidity. There’s also a TPU cage at the rear that Reebok calls Exoframe Technology which, other than being a marketing term, prevents slippage. The heel features a 22mm drop, making it especially suitable for powerlifting. These are excellent, versatile shoes, and ladies you’re in luck: The women’s variety have an extensive range of styles, and are just as good. Check them out here. Unlike most other entries in this list, the Romaleos 3’s follow Nike’s tradition of providing interchangeable insoles. This allows you to customize the amount of room and cushioning you have in the shoe. They tend to run in the same price range as the AdiPowers, so expect to shell out a little more than you’re used to. Luckily, you get what you pay for. The striking design, unique Flywire-infused upper, cushioned lining and perforated synthetic leather construction make for a desirable lifting shoe. The midfoot strap is somewhat reminiscent of a seatbelt in both look and feel. Considering the purpose of a seatbelt, this can only really be a good thing. The TPU heel comes in at around 20mm, making them perfect for powerlifters. Again, these have a women’s range, but the styles are fewer. Check the prices here. Before you open your wallet, be sure to put the flashy designs and enticingly low prices aside to find the shoe that’s right for your feet. This means going through a couple of checks. Sizing is the most important factor. A shoe that strikes the right balance between a snug fit and enough room for your toes to move so that you don’t injure them over time is your first priority. The width of your feet is also a key consideration. If you’ve got wider than average feet, you’re going to want shoes that cater for this. There is genuinely nothing more uncomfortable than being laced and strapped into too-narrow shoes, and then trying to lift. Depending on whether you’re an Oly lifter or you concentrate more on the powerlifts, you’ll want to pick a heel height that works best for your style and lower body morphology. 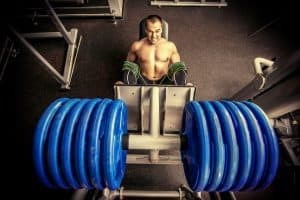 Some suggest that taller heels are better for squats and the explosive Oly lifts, while lower heels or flat-soled shoes are better for deadlifts. This is a false generalisation. Ultimately, your optimal heel height will depend on what helps you keep your knees forward. For most people, this will be achieved through a 0.5″ – 0.75″ heel, which is the average / most common amount of lift. Most of our recommendations above fall in this range (except for the Reebok Legacy Lifters). Others will need a higher heel, like the Legacy Lifters, to ensure their knees move and stay forward. Due the proportions of their legs, some lifters naturally get their knees forward. For these people, flat-soled shoes are perfectly adequate – you simply don’t need a fancy pair of shoes. A pair of Chucks or Vans should be sufficient. 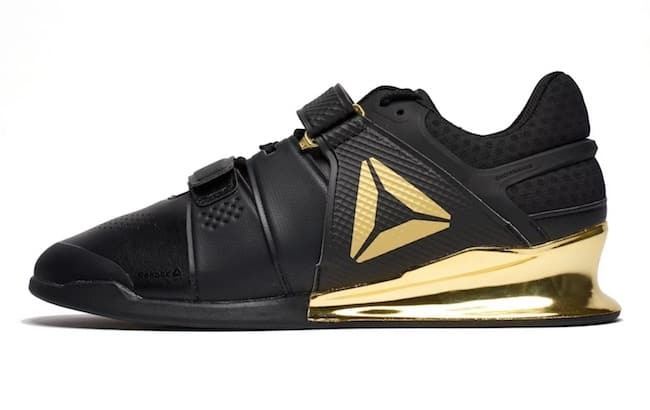 Well, there you have it: The best weightlifting shoes currently available for both men and women. Irrespective of the lifting you do, or the needs determined by your particular morphology (i.e., the dimensions of your lower body), you should be able to find a great pair of lifting shoes using the information above.